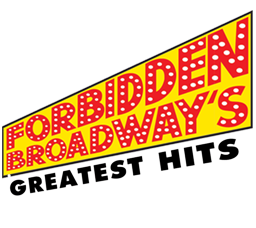 Gerard Alessandrini is the recipient of the 2001 Drama Desk Award for Best Musical Revue for FORBIDDEN BROADWAY. He is best known for writing and directing all the editions of FORBIDDEN BROADWAY and FORBIDDEN HOLLYWOOD, in New York, Los Angeles, London and around the world. Gerard was also a member of the original cast of FORBIDDEN BROADWAY. Gerard is from Needham, Massachusetts and the Boston area, where he graduated from the Boston Conservatory of Music. In 1982, he created and wrote FORBIDDEN BROADWAY, which has spawned 15 editions, seven cast albums and a 25-year-and-counting run in New York. Television credits include writing comedy specials for Bob Hope and Angela Lansbury on NBC, Carol Burnett on CBS, and MASTERPIECE TONIGHT on PBS, a satirical revue saluting Masterpiece Theater’s 20th Anniversary. As a performer, he can be heard on four of the seven FORBIDDEN BROADWAY cast albums, on the soundtracks of Disney’s animated classics ALADDIN and POCAHANTAS. Directing credits include many industrials for Canada Dry, Mobil, and Miramax, etc. In 1998 he directed a production of Maury Yeston’s musical IN THE BEGINNING. In the summer of 2001 he co-directed a revival of Irving Berlin’s last musical MR. PRESIDENT, which Gerard also updated and “politically corrected.” Gerard is the recipient of an Obie Award, an Outer Critics Circle Award, two Lucille Lortel Awards and four Drama Desk Awards for FORBIDDEN BROADWAY, and a lifetime achievement award from the Drama League.